Preheat the oven to 400 degrees F. Line a large baking sheet with parchment paper. Rinse the salmon with cold water and pat dry. With a sharp knife or kitchen scissors, trim off the fins and tail and discard. 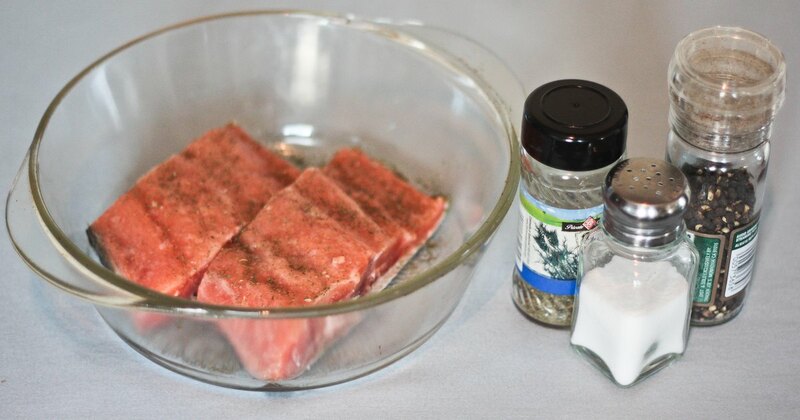 Make several 1/2-inch deep slits on one side of the fish. HOW TO COOK A WHOLE SALMON. 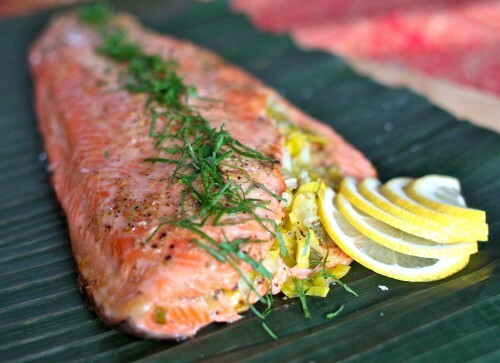 With this method of cooking a whole salmon, you don�t need a fish kettle � you simply bake the fish in a parcel in the oven.